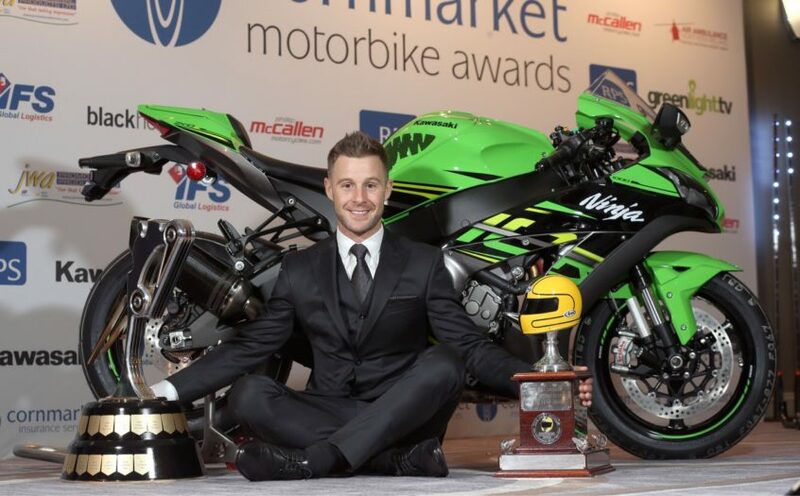 Northern Ireland’s treble winning World Superbike champion, Jonathan Rea, is to ride at this year’s Vauxhall International North West 200! But the 31 year old, who won his third WSB world title in a row in 2017, won’t be racing on the famous circuit that links the towns of Portrush, Portstewart and Coleraine. Rea’s 2018 NW200 appearance will see him ride a Kawasaki ZX10RR in a parade lap during the main race day at the North Coast event on May 19. “I’m very excited to go back and visit the North West 200 and be able to do a parade lap.” Rea said. The son of former NW200 racer, Johnny Rea, Jonathan has personal experience of the 8.9 mile Triangle circuit. “I was fortunate enough to ride with my Dad around there more than 10 years ago.” the Ballyclare man said. Although the triple world champion is firmly focussed on the battle to retain his WSB title for a fourth year in succession he also keeps a close eye on the pure road racing scene. “With some of the top riders moving teams it’s all to play for through all the classes.” was his assessment of how the 2018 North West races will go. Rea’s NW200 outing is a huge boost to local biking fans who usually have to travel to Britain or further afield to watch their local hero in action. Recently crowned Irish Motorcyclist of the Year, he will be riding on the same roads where his racing hero, Joey Dunlop, won 13 races during a long and distinguished career. “We are thrilled and delighted to announce that Jonathan will be out on track in front of his home fans at this year’s Vauxhall International North West 200.” Event Director, Mervyn Whyte, told the packed auditorium for the North West 200 launch in Coleraine last night. Although probably a little relieved he won’t have to compete against Rea, the news was met with approval from fellow racer, Glenn Irwin. “I’ve been training with Jonathan in Spain recently and I saw how committed he is to his sport.” last year’s NW200 feature superbike race winner told the crowd at the launch. Irwin headed the star studded launch event in Coleraine which was attended by a capacity crowd of over 800 people. He was joined by arch rival Alastair Seeley, Lee Johnston, Dean Harrison, Michael Rutter, Adam McLean, William Dunlop, Ian Hutchinson and James Hillier. The line-up of newcomers for the 2018 seaside races included Davey Todd, Jonathan Perry, Stephen Degnan, Mike Norbury, Jamie Williams, Jordon McFerran.